Welcome to the Patient Resources section of the website for the Paley Institute! This section is designed for current and prospective patients. If you have any questions about the Paley Institute, please see Contact Us. If you are interested in booking an appointment, please see Schedule an Appointment. Sign up for a Patient Portal account on Athena. This will allow you to check appointments and make secure payments online. In addition, this section of the website includes important information for current patients with regards to treatment, including Patient Care Guides on Pin Care, External Fixator Management, and Spica Cast. For inspiring stories and photos from our patients, please see Patient Stories. 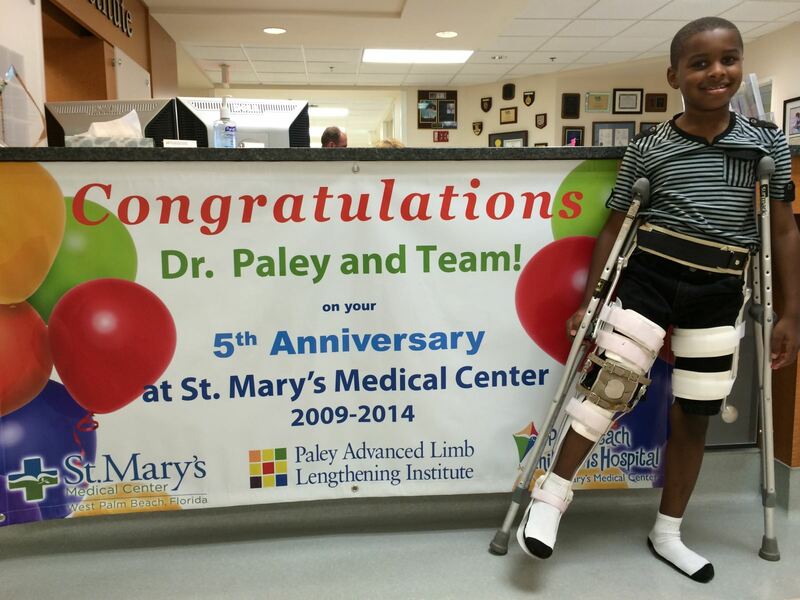 These testimonials highlight the life changing surgeries our patients undergo here at the Paley Institute. If you would like to learn more about Limb Lengthening, Deformity Correction, Stature Lengthening, Joint Preservation, Physical Therapy, and the various treatment methods we use, please see Orthopedic Conditions. We also have links to our Paley Growth app available via iTunes.